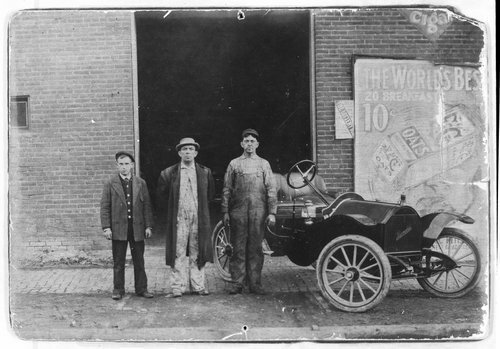 A photograph of three men standing in front of J.W. Seery's garage located at 6th and Quincy, Topeka, Kansas. The men are standing by a Hupmobile.